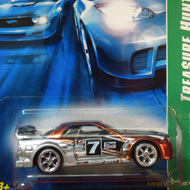 3/12 from the 2007 Super Treasure Hunt series. 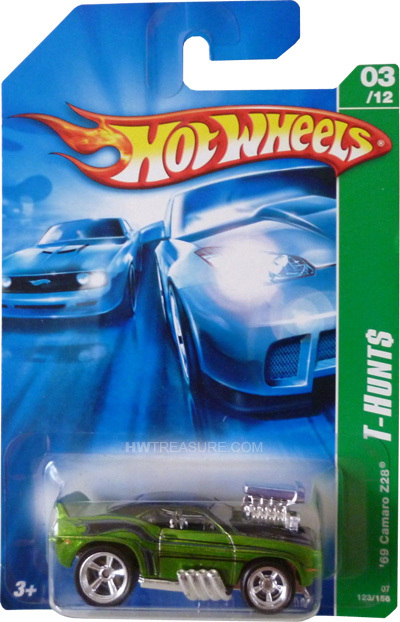 The Camaro boasts green metalflake paint, a black roof, and sides “Z28” and grey and black stripes. 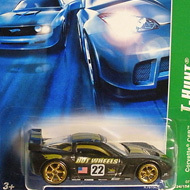 It has tinted windows, chrome interior, 5-spoke Mag-Style Real Rider wheels, and a black chrome Malaysia base.